A Buyer is an entity in CAKE specific to clients licensing the Lead Gen platform. Within the Lead Gen platform, Buyers are who you are selling lead data to. 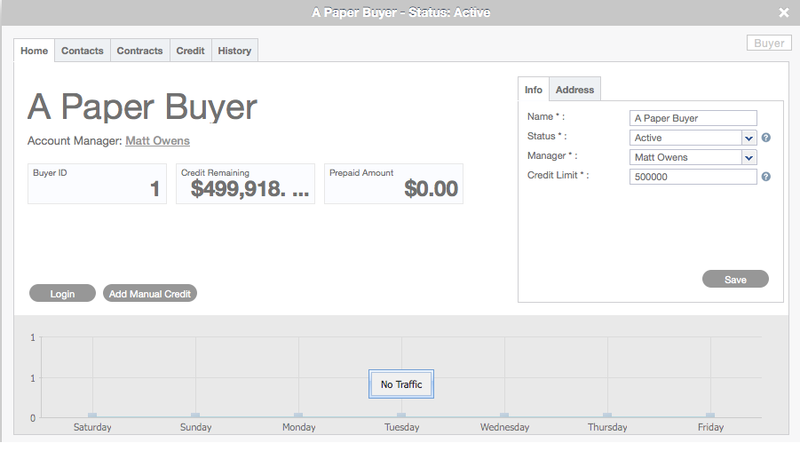 Adding a buyer can be accomplished in multiple places in your CAKE instance. A buyer only needs a name. 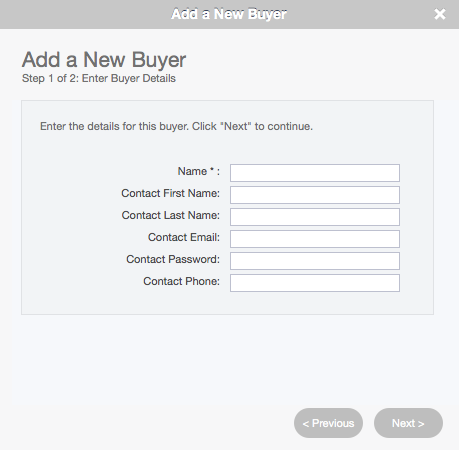 All other options in the Add Buyer wizard are optional and can be chosen/edited once the affiliate has been created. Credit Limit: This is the post pay method. Buyers will be allowed to spend as much money as you place in this field and will be invoiced at the end of the billing cycle.